I try to keep gratitude at the fore front of my life. I even keep a gratitude journal just to make sure I never forget to be grateful for all things big and small. It is life changing. 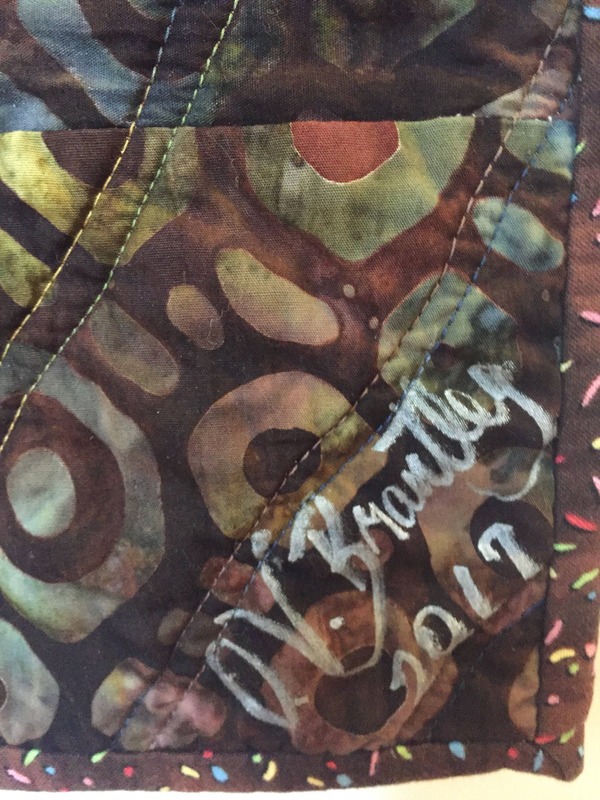 I often incorporate the word gratitude in my quilts, but now I have created a whole series focused on gratitude. 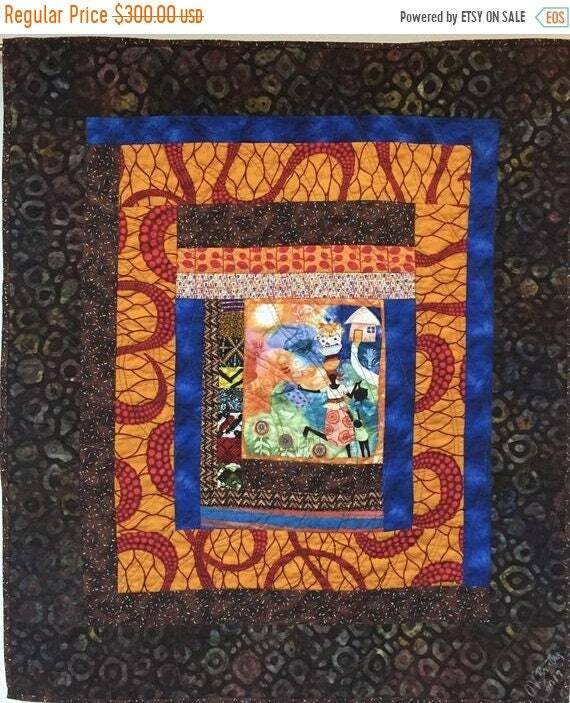 The series is "Grateful For Another Happy Day", and there will be 7 quilts in this series. 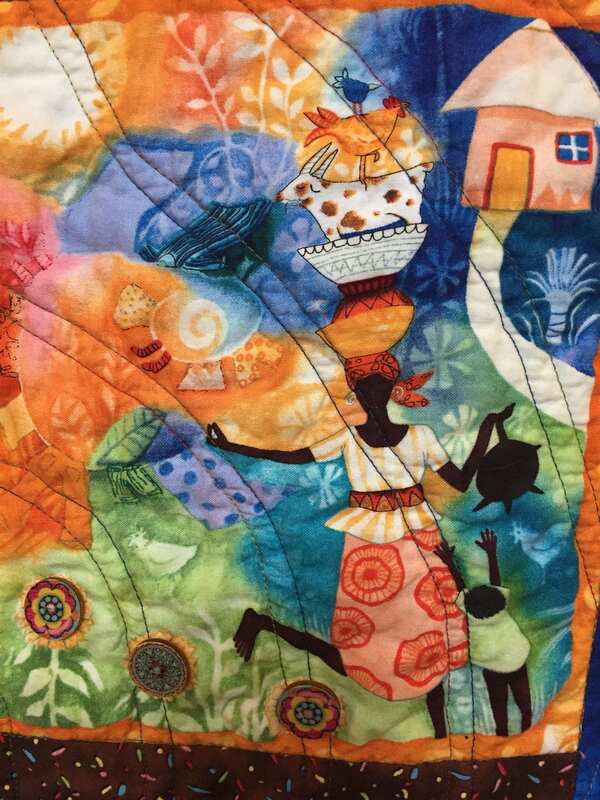 Each of the quilts starts with a panel of a beautiful, joyful African woman by Julia Cairns. "Grateful For Another Happy Day #4" measures 32x37inches. 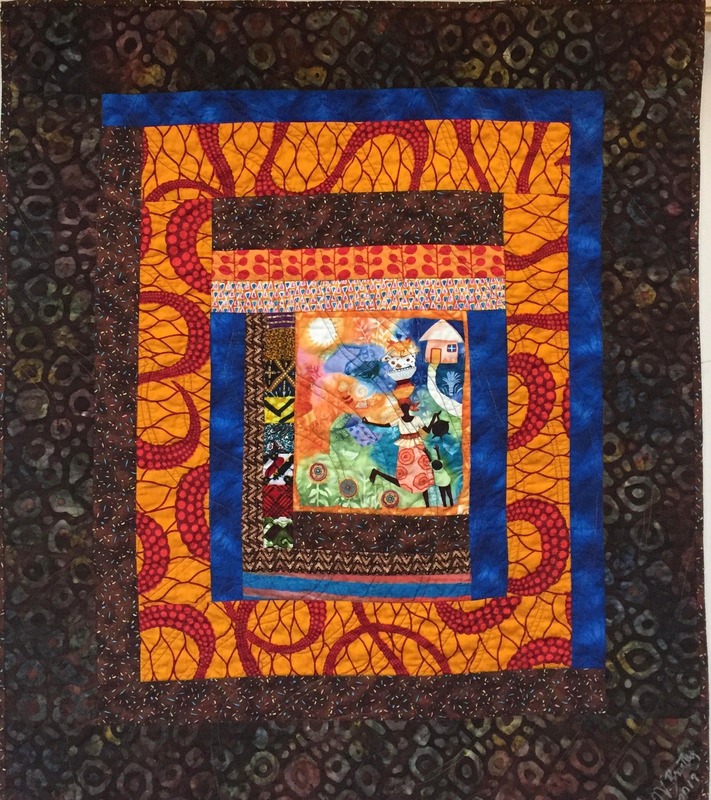 The dominant colors are brown and orange in a mixture of batiks and African fabrics. It is pieced and quilted on my machine and embellished with buttons. 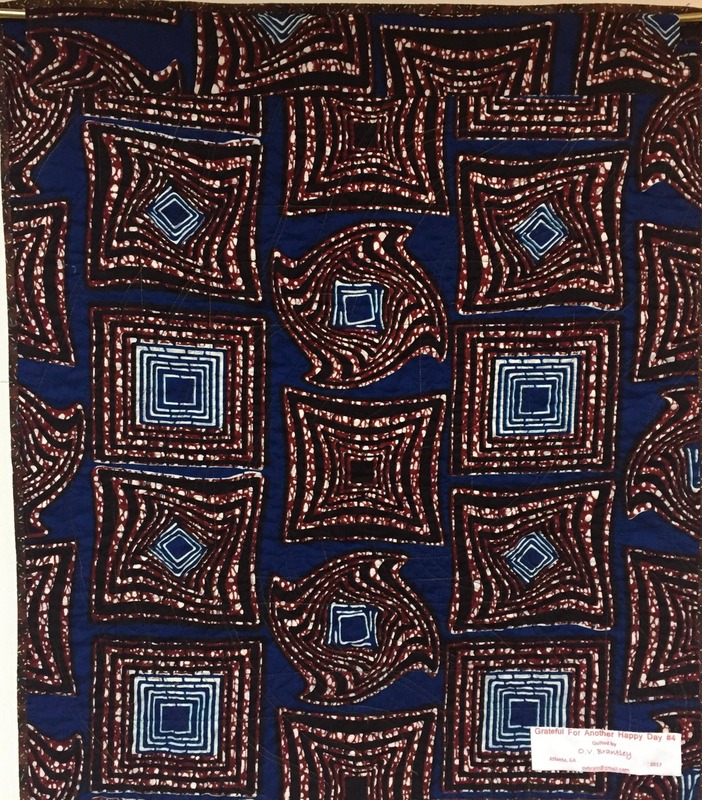 The fabric on the back is a blue and brown African fabric. There is a hanging sleeve for easy display and a label that documents the quilt. I signed and dated the quilt on the front. 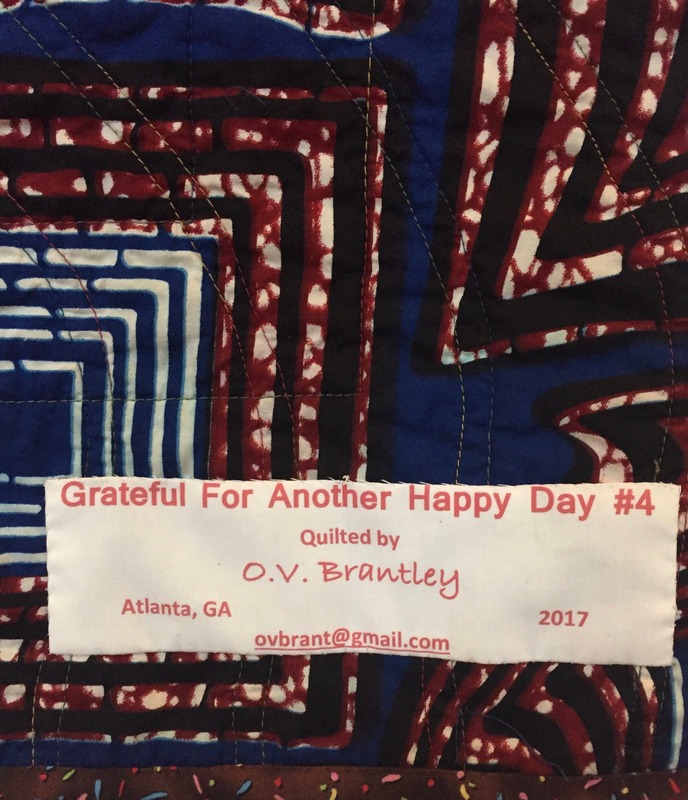 "Grateful For Another Happy Day #4" is one-of-a-kind.